The two main peoples known as “Eskimo” are: the Inuit of Canada, Northern Alaska (sub-group “Inupiat”), and Greenland, and the Yupik of Alaska and eastern Siberia. A third group, the Aleut, is closely related to the Eskimo and shares a recent, common (“Paleo-Eskimo”) ancestor, and a language group (Eskimo-Aleut). 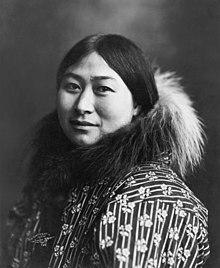 The Aleut are also recognized as belonging to the greater Eskimo race. While the term “Eskimo” is sometimes considered offensive, in its linguistic origins it is not a fundamentally offensive word. Alternative terms such as Inuit-Yupik have been proposed, but none have come into widespread acceptance. The Inuit Circumpolar Council, as it is known today, uses both “Inuit” and “Eskimo” in its official documents. Because of the linguistic, ethnic, and cultural differences between Yupik and Inuit peoples, it seems questionable that any umbrella term to encompass all Yupik and Inuit people will be acceptable.